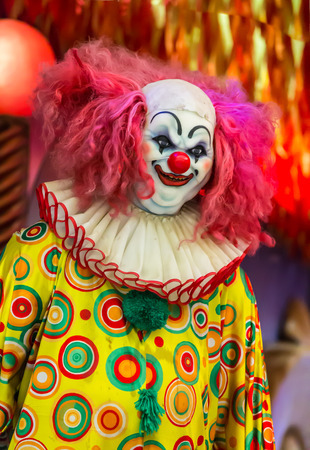 Denver Locksmith » Resource Center » Creepy Clowns: Sick Joke or Serious Threat? Creepy Clowns: Sick Joke or Serious Threat? Since August, there have been several reports of “creepy clowns” all across the United States, including in Colorado. Many area schools have sent out letters to parents regarding these clown sightings and threats of violence that have been made. People are understandably on edge in light of the creepy clown epidemic, but one big question remains: are these clowns a serious threat, or Is it all just a sick joke? In Denver, police responded to an incident in which a student reported seeing a clown who grabbed her and attempted to kidnap her. An individual wearing a clown costume was also reported in Adams County, but police were unable to find the perpetrator. Several area schools, including Palisade High School and Poudre High School, have received threats of violence. Fortunately, these threats were not credible. In Weld County, a student at Northridge High School posted on Facebook about clowns and a shooting at Franklin Middle School and Northridge High School. The student has been removed from school and has admitted to making the post to garner attention. Fortunately, the majority of the reports of creepy clowns in Colorado appear to be hoaxes, but in other parts of the country, scary clowns have attacked, so it’s important to remain vigilant. Though it appears that many creepy clowns are playing a sick joke to scare people, some have proven to be a real threat. There’s no way of knowing exactly how this “clown epidemic” will progress, especially as we draw closer to Halloween. If you spot a creepy clown, do not approach the individual, and report your sighting to the police. Remind your kids not to talk to strangers and not to go anywhere with them, even if they’re offering money, candy or any other type of bribe. Keep your doors and windows locked, and make sure your home security system is armed and in good working order. You may want to consider investing in security cameras to keep an eye on your property. Whether it’s a hoax or a serious threat, individuals dressing as creepy clowns clearly intend to frighten people and cause panic. Keep your family safe by keeping a level head and exercising some extra caution. At Colorado Security Products, we install and service security systems and security cameras in Denver. We offer customized security solutions to meet your needs, and we’re here to keep your family safe and provide you with peace of mind. For security in Denver, call 303-756-1000.